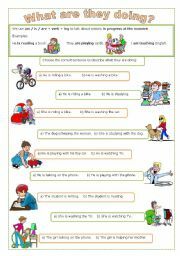 Verb to be in the present + some exercises (multiple choice, gap filling, reorder and writing sentences). Easy exercises for beginners to practice the verb to be in the present. Updated version of my first try with boardgames (http://www.eslprintables.com/printable.asp?id=195528#thetop) for lower intermediate. 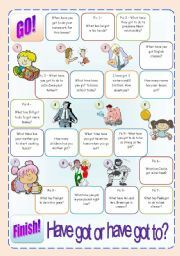 I edited some questions, added picture questions and modified the design. Hope it´s useful. Thanks for downloading and have a nice day! What do they usually do on Valentine´s day? Ws to practice the future with "going to", in order to prepare my beginners for finals next week. The ws is completely editable, so you can add / replace whatever you want to. Hope it´s useful. Thanks for downloading and have a nice day! 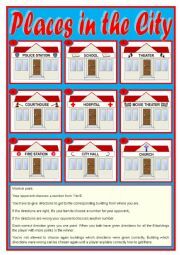 A game to practice directions and buildings. 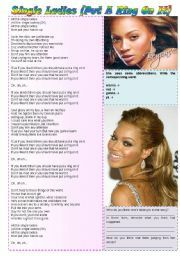 Rules and instructions on the worksheet. Hope it helps. 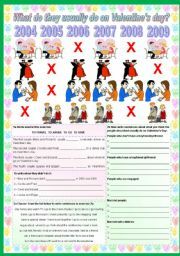 Find more games and worksheets at zaildacoirano.com. Thanks for downloading and have a nice day! 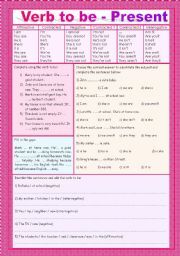 Some grammar, writing and comprehension questions. I used this song to engage students in a discussion about love & relationships. Thanks for downloading and have a nice day! Two pages with explanation, examples and exercises to practice the Present Continuous. My beginners have to get ready for their first Final and I´m sharing what I have been preparing for them these days. Hope it´s useful! A ws for my higher advanced to understand and practice the "ing form" used as a noun. 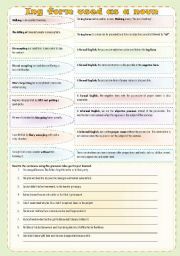 Grammar rules, examples and exercises. 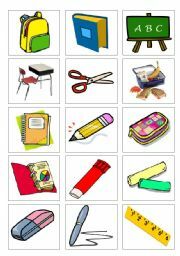 Since some exercises may be done in more than one way, I haven´t included the teacher´s keys. Completely editable / correctable. Hope it´s useful. Thanks for downloading and have a nice day!